Hello! My name is Michael Borgwardt, I was born 1977 and have been living and working in and around Munich, Germany for a long time, although strictly speaking I'm a "Zuag'roaster", i.e. not a true native. 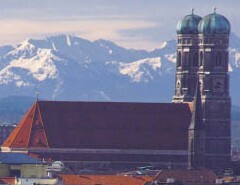 Munich is rather expensive to live in, but I feel very comfortable here, since it offers all the advantages of a big city without being an endless concrete waste. 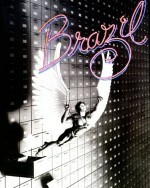 My online nickname is based on the 1984 movie Brazil, a dark surrealist story by Monty Python member Terry Gilliam, which is one of my favourite movies. Its title in turn is based on a 1930s song. Originally I therefore called myself "Brazil", ever since that nickname was positively remarked upon during my very first contact with the Internet (which took place via a Gateway between IRC and the German Telecom's proprietary BTX service), which must have been around 1993. However, it frequently led to misunderstandings as people assumed I was Brazilian, and of course "Brazil" was often already taken as a nickname. Therefore I eventually swichted to far more distinct "brazzy".